The National Dairy Council New Product Competition seeks the next new innovative product. 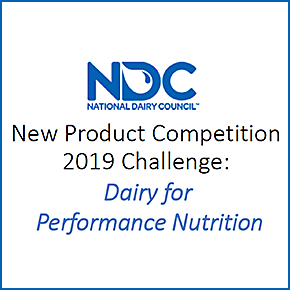 Undergraduate and graduate students in the US and Canada are eligible to compete by developing a new dairy or dairy based product to satisfy consumer’s need for performance nutrition. Successful entries will meet competition criteria, demonstrate innovation and provide value to consumers.